Typically, we will seek consent for the collection, use or disclosure of your personal information at the time of collection. In certain circumstances, consent may be sought after the information has been collected but before use (for example, when we want to use information for a purpose not previously identified). The form of consent that we seek, including whether it is express or implied, will largely depend on the sensitivity of the personal information and the reasonable expectations of the individual in the circumstances. You may withdraw consent at any time, subject to legal or contractual restrictions and reasonable notice. If you wish to withdraw your consent at any time, please contact us as set out below. We will inform you of the implications of withdrawing consent. We will not, as a condition of the supply of a product or service, require you to consent to the collection, use or disclosure of information beyond that required to fulfill the explicitly specified and legitimate purposes for which the information is being provided. 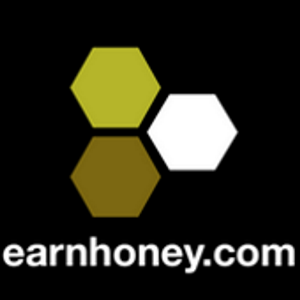 When you sign up for the EarnHoney.com Sites you will be required to share information that identifies you personally. “Personal Information” refers to any information that lets us know the specifics of who you are and which can be used to identify, contact or locate you. Examples of Personal Information include, without limitation, your first name together with your last name, your credit card number, your mailing address and/or email address, and your phone number. Generally, we collect Personal Information when you provide it to us by signing up on EarnHoney.com Sites, filling out surveys or questionnaires, joining our mailing list, corresponding with us, entering one of our sweepstakes or contests, choosing to submit testimonials, stories, photos or the like to the EarnHoney.com Sites, or otherwise volunteering information about yourself. The Company usually collects Personal Information so that it can provide you with the Company’s goods or services. The Company may also use your Personal Information for other reasons, including updating you on the Company’s services, news and special offers (unless you choose to “opt-out” as described in the “Choice/Opt-out” section below). If you don’t provide some of the Personal Information the Company asks for (e.g. your name, your mailing address and/or email address), it may be unable to provide you with the Company’s goods or services. The Company collects or may collect some information each time you visit EarnHoney.com Sites so we can improve the overall quality of your online experience. We collect or may collect your IP address, referral data, and browser and platform type. You do not have to register on the EarnHoney.com Sites or provide any Personal Information to us before we can collect this anonymous information. The Company assigns an anonymous ID number to your requests and links the following additional data to that anonymous ID number: the date and time you visited, your search terms, and the links you choose to click. Like most standard Web site servers, we use log files to collect and store this anonymous user information. The Company analyzes the information to determine trends, administer the site, track user’s movement in the aggregate, and gather broad demographic information for aggregate use. Such aggregated anonymous information is used in our market research surveys, to record statistics behind special offers, our “shop & earn” promotions, electronic recycling and our polls. If you elect to use our referral service for informing a friend about any of the EarnHoney.com Sites, we ask you for your friend’s name and email address. The Company will automatically send the friend a one-time email inviting them to visit the EarnHoney.com Sites. The Company does not store the information related to your friends and the one-time email sent pursuant to your input will be our only contact with that person for such input. The Company may allow other companies, called third party ad servers or ad networks, to display advertisements on the EarnHoney.com Sites or in EarnHoney.com emails to you. Some of these ad networks may place a persistent cookie on your computer. Doing this allows them to recognize your computer each time they send you an online advertisement. In this way, ad networks may compile information about where you, or others who are using your computer, saw their advertisements and determine which ads are clicked on. This information allows an ad network to deliver targeted advertisements that they believe will be of most interest to you. The Company does not have access to or control over the cookies that may be placed by these parties on your computer, and has no control over these parties’ privacy policies or information collection practices. The Company may share non-personally identifiable information collected via the service in aggregate, anonymous form with advertisers or other third parties so that they may better evaluate what products and services are most appealing to different segments of the Company’s user base. The Company does not disclose your first name, last name, address, email address, or any other Personal Information to these third parties unless you give your express consent. Most web browsers automatically accept cookies, but you can usually configure your browser to prevent this. Not accepting cookies may make certain features of the EarnHoney.com Sites unavailable to you, though we will make every effort to ensure that users who have disabled cookies are denied access only to those portions of the website that legitimately require cookies for their functionality. Notwithstanding anything else in this policy, we or a data provider we have engaged may place or recognize a unique cookie on your browser to enable you to receive customized ads or content. These cookies contain no personally identifiable information. The cookies may reflect de-identified demographic or other data linked to data you voluntarily have submitted to us, e.g., your email address, that we may share with a data provider solely in hashed, non-human readable form. To opt-out of these cookies and for more information, please visit aboutads.info/choices and/or networkadvertising.org/managing/opt_out.asp. • Are authorized only to use Personal Information in order to provide the goods and services required by the Company. The Company may also disclose your Personal Information to third parties where it has your express permission to do so, or where it can reasonably be inferred from the circumstances that you consent to the disclosure to the third parties. The Company tries to limit the information it provides to third parties to the information they need to help the Company provide goods and services to you. In the event the Company goes through a business transition, such as a merger, being acquired by another company, or selling a portion of its assets, users’ Personal Information will, in most instances, be part of the assets transferred, unless such a transfer will violate any applicable law. Please note that as long as you remain a EarnHoney.com user, opting not to receive email does not exempt you from receiving administrative emails, which include, but are not limited to, notices about vital service and status changes or alterations to the Company’s Terms. We request that children under the age of 13 not submit any Personal Information to us via the EarnHoney.com Sites. It is possible that by fraud or deception we may receive information given to us or pertaining to children under 13. If we are notified of this, as soon as we verify the information, we will immediately delete the information from our servers. We use SSL (Secure Sockets Layer) encryption technology to safeguard the security of your Personal Information; however transmissions made on or through the Internet are vulnerable to attack and cannot be guaranteed to be secure. You hereby acknowledge that the Company is not responsible for any intercepted information sent via the internet, and you hereby release us from any and all claims arising out of or related to the use of intercepted information in any unauthorized manner.